Chief Master Sgt. 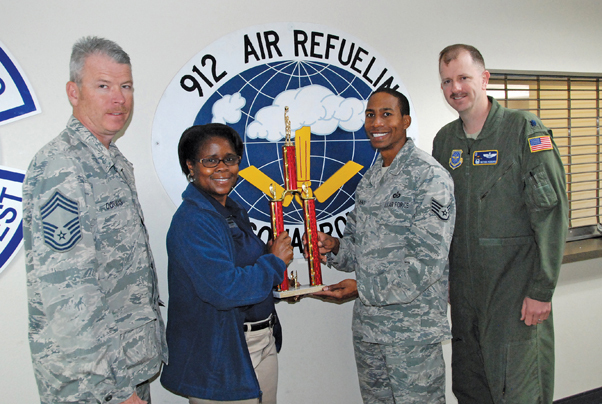 Jerry Dorman, 912th Air Refueling Squadron, Pamela Smith, March Fitness Center director, Staff Sgt. Ishmael Bryant, 912 ARS and Lt. Col. Nathan Howard, 912 ARS commander, pose after receiving the 452nd Force Support Squadron’s Intramural Basketball Base Championship trophy for the 2014/15 basketball season.